One of the biggest driving forces of security in recent times is called access control. Access control is a method with many different variants that enforces security on a completely unique level. For example; your credit and debit cards use 2 methods of controlled access. One method is with the magnetic keycard that needs to be swiped at most locations you shop at. The second method is with your personal PIN code, which a thief would need even if they were to gain access to your credit or debit card. These are two highly effective methods of access control, but only two of many. 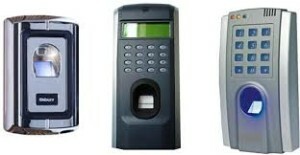 Today Access Control Systems in Thornhill is much more advanced and is known as the fingerprint scan system. This access control system allows you to setup personalized access to certain areas or containers by way of fingerprint scanning. Only the exact person who made the initial fingerprint will have access in this manner, making it impossible to fraudulently gain access. It’s perfect for high security zones in any business, manufacturing facilities, or anywhere else that high level security and access control is needed. Here at Locksmith Thornhill, we offer our customers the very best access control service including access control repair services. They are available anytime for both residential and commercial customers at great prices. We also specialized in other access control systems such as keypad entry panels, where saved passwords must be entered correctly to gain access, or voice recognition devices that require precisely spoken words in order to gain access. The options are many and the applications are even more numerous. Whenever you need a little more security for your home or business in the form of access control, let us know today here at Thornhill Locksmith. We’ll work hard to give you a satisfactory experience that’s well worth your time and money.